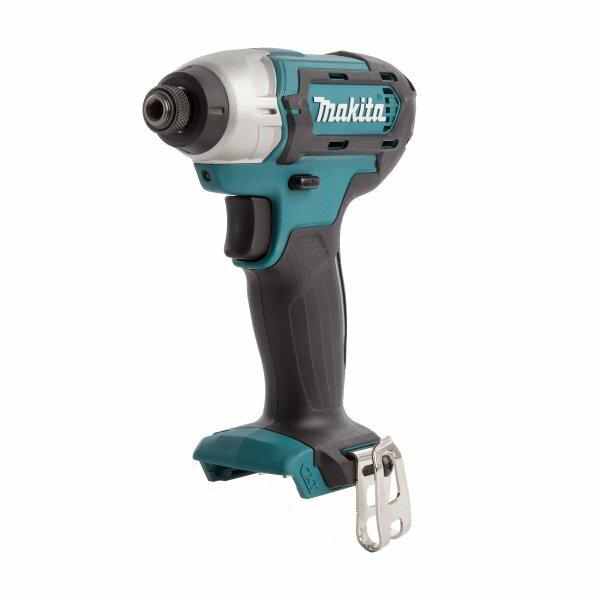 The Makita TD110DZ 10.8v CXT Slide Impact Driver part of Makita's CXT range of 10.8v tools. It comes with higher speed and torque- its maximum speed is 2,600 RPM while its maximum torque is 110Nm. This lightweight and compact impact driver features LED light with afterglow feature, new CXT 'Slide' type Lithium-ion battery style, battery protection circuit, forward/reverse rotation, ergonomic grip, belt clip, and electric brake.